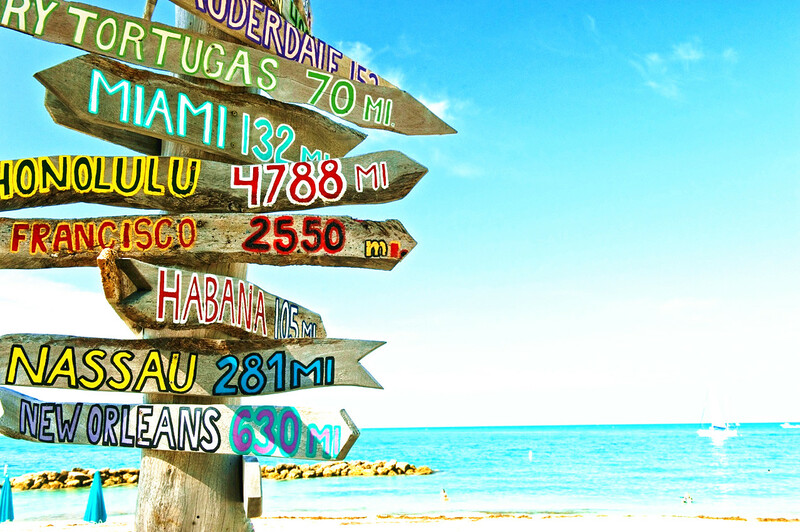 Get Americas had imagine, just for you, an ideal week in the Florida Keys. What the Keys are ? The Keys are an archipelago consisting of about 1700 islands with two main islands, Key Largo and Key West. For your info, the name of these islands does not come from the English “key” but from the Spanish Cayos, the reefs. The island of Key Largo is indeed famous for its transparent waters where multicolored fish like to swim but especially for its access to the barrier reef, only a few kilometers from the island. The bottoms are superb, and you can admire them both in snorkeling and on a glass bottom boat. Less picturesque, but at the very least unusual, divers can also see a statue of Christ from the depths a few meters under water. It is the work of an Italian sculptor Guido Galletti, in homage to the missing sailors and more generally to all the people who dedicate their life to the sea. The statue in the Floridian waters is the copy of the original, which lodges In the bay of San Fruttoso de Camogli, Italy. But the key to Key Largo is the John Pennekamp Coral Reef, a wonder of nature where one can explore the coral reef or cross exotic birds in the middle of a thick mangrove in the heart of which one can also kayaking. YES, Finding Nemo is in Florida! As the honeymoon destination of the newlyweds, Islamorada has a natural lagoon in which dolphins can be brought close. Another attraction is the Theater of the Sea, a marine animal park where you can see sea turtles, crocodiles and giant rays. This theater will also allow you to attend shows and aquatic activities on the theme of the world of the sea. Hum … Sombrero Beach, this is where you have to take your next nap in the Keys! The idyllic place is for you, lovers of water sports and aquatic, direction Boot Key Harbor, in the heart of the island, because it is where everything happens. 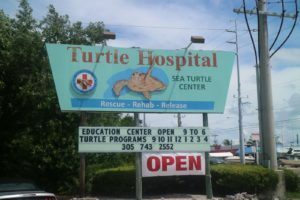 Do not forget to visit the Turtle Hospital, the world-class sickbay with wounded and sick tortoises. Big Pine Key delimits the lower part of the Keys. This wild spot is much quieter than the top Keys and this is exactly what you will like.You will travel to the Bahia Honda State Park, a park of more than 200 hectares filled with wild animals and with the best beaches in the United States and unique diving and snorkeling spots. Concentrate of beauty, charm and nature in the wild, Key West, the last island of Florida Keys, is surely the most beautiful and the best known. First for its heavenly beaches, such as Anne’s Beach or its seabed which offer unique diving spots. Key West is above all a legacy of American culture and especially that of its presidents. The Little White House, nestled in the old town, was the summer district of Harry S. Truman and many other US presidents. We will not let you miss the visit of the US Coast Guard, this American ship docked in the waters of Key West and completely restored. Key West invariably invokes Ernest Hemingway and his house with polydactyl cats, which has become a true museum, entirely dedicated to his deceased owner. All these monuments and museums have surely dug your stomach, and it falls well, because it’s time to taste the specialty of the island, the Key Lime Pie. Some like it meringuee, others like it with Chantilly, but everyone agrees that it is delicious and refreshing. To taste the best of the island (according to the Editorial opinion), go to Blue Heaven. Finally, if you want to push the visit further (yes yes it is possible), you just have to take the ferry in the direction of the Dry Tortugas, this string of islands lost in the Gulf of Mexico, 110 km from Key West. But afterwards, we warn you, there is nothing more to see!